Home > Breaking News > 3 million children out of school in Kano. 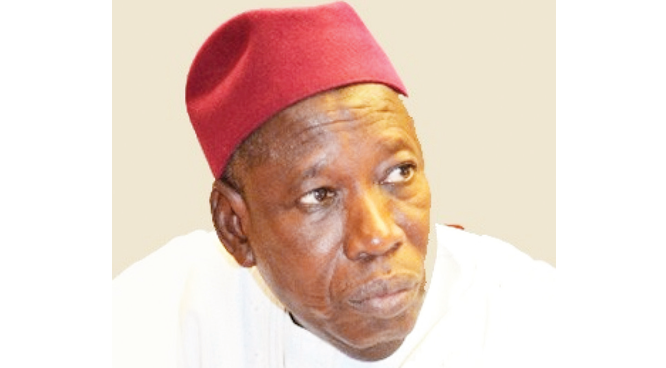 The Kano State Ministry of Education, Science Technology and Innovation, has disclosed that the state has the highest number of out-of-school children in the country. This was made known during an interactive session held in Kano, the state capital, last Sunday on the wings of the Second Basic Education Week. Those present in the event includes: Governor Abdullahi Ganduje, stakeholders in basic education, teachers, Principals of secondary schools and the Commissioner for Works, Engr Aminu Wudil, who is overseeing the Ministry of Education. Speaking on the theme, Education: A Basic Community Responsibility, Wudil, represented by the Permanent Secretary, Ministry of Education, Malam Danlami Garba, said, “The ministry is grappling with a shortfall of infrastructure in 8,280 public schools in the state, just as about 4.4 million children enrolled. The ministry also spends over N2.8b for the payment of salary to over 60, 000 primary school teachers monthly. The Federal Government meanwhile has developed a Ministerial Strategic Plan to tackle the out-of-school children challenge facing the country, which is being reviewed for implementation, was developed by the National Commission for Mass Literacy, Adult and Non-Formal Education. Prof Abubakar Haladu, the NMEC Executive Secretary, stated this during the celebration of the 2018 International Literacy Day on Wednesday, noted that such policy guidelines were necessary to address Nigeria’s growing illiterate population currently put at over 60 million persons. The theme of the International Literacy Day, which held in Kano State, was Literacy and skills development. The NMEC secretary warned that failure on the part of the Federal Government and concerned groups to take appropriate action on the out-of-school children issue, many of the affected children would grow up to be part of the future illiterate adult population in the country. “The government is not only concerned about this situation, but it is also taking steps to address it. There are the Ministerial Strategic Plan, the National Policy Guidelines and a National Mass Literacy Programme. All of them were developed by the commission. They are being considered for implementation as parts of measures to significantly reduce the scourge of out-of-school children, youth and adult illiteracy. “However, this task cannot be achieved without the support of the 36 states and the various local government councils that are statutorily responsible for the provision of basic education.” He said.